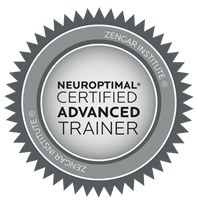 I am certified in “Neurofeedback™” using the “NeurOptimal®” brain training method which is a new and innovative way for handling many of the dysrhythm’ s of the brain. Neurofeedback™ (NeurOptimal®), facilitates change within the brain by optimizing the communication levels between the whole brain (a Holistic approach) to create positive outcomes and results, without the side effects that may come from medications or other forms of treatment. The brain becomes more optimized therefore becoming more resilient and flexible in dealing with the arrows life has to offer. In addition, I am a therapist who helps find solutions to the issues rather than dancing around the difficulties. Offering a variety of a treatment approaches tailored to the needs of each client that are collaborative and instructive in nature. I use the most respected techniques from cognitive behavioral therapy to Neurofeedback™ (Bio-Feedback) and the other schools of applied psychology. I offer assistance in the areas of Depression, Stress relief, Anxiety, Trauma; Marriage and Family counseling; Behavior modification dealing with self-sabotage beliefs and thoughts; Grief and loss transition; Adolescent and Addiction Recovery.